I’ll be taking part in AIGA’s Emerge. An initiative designed to engage emerging designers in the first five years of their careers – whether it’s their first career or a new direction. 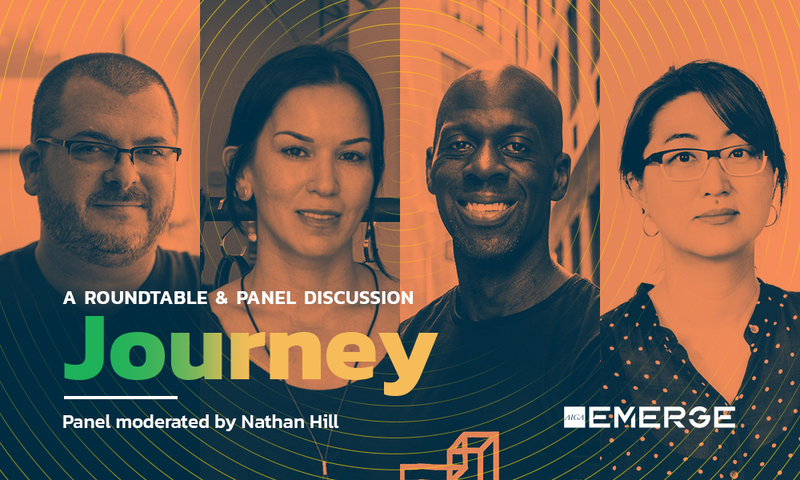 Journey: A Roundtable discussion & Panel. Greg Spraker, Senior Art Director at Grafik. Virginia Arrisueño, Founder/Creative Director at DeNada. Kojo Boateng, Creative Lead at Dynaxys. Soung Wiser, Founder/Creative Director at The General Design Co.